You will love this newly renovated villa. 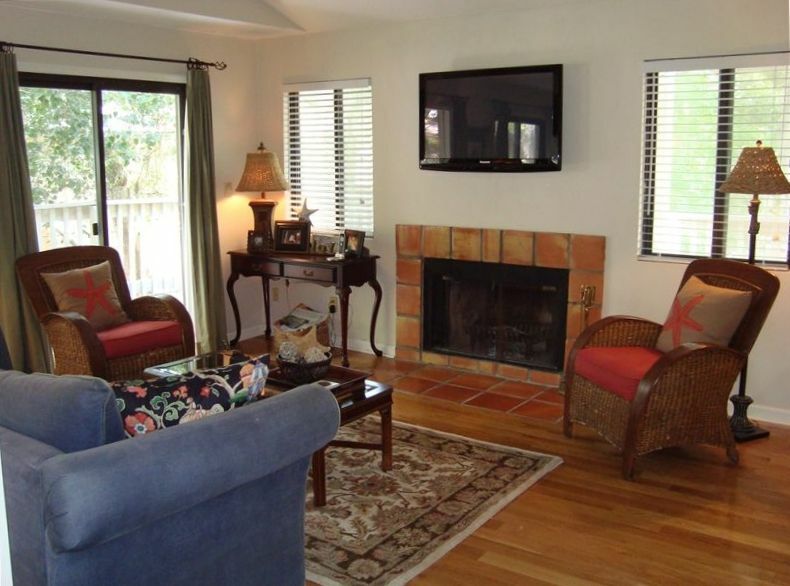 Beautiful hardwood with rugs, 2 full baths with new tile and new carpet in the master suite. Other amenities include a fireplace, a wrap-around deck which is great for dining under the beautiful South Carolina stars. One of the most beautiful beaches on the island is only a short 3 minute walk away where you will find your beach locker with chairs waiting for you. A lovely sofa in the master suite is also a great place for an afternoon read. Beachwalk is the closest property to the beach in Shipyard Plantation. Free tennis is available to you at the Van der Meer Tennis Center located directly across the street from the villa or if you prefer golf that is just down the street. The Sonesta Hotel is also across the street and is a nice place for an outdoor breakfast or lunch on their patio or a visit to their spa. Wonderful bike paths are great for a relaxing ride at any time.